I got all of the triangles cut for my triangle quilt. 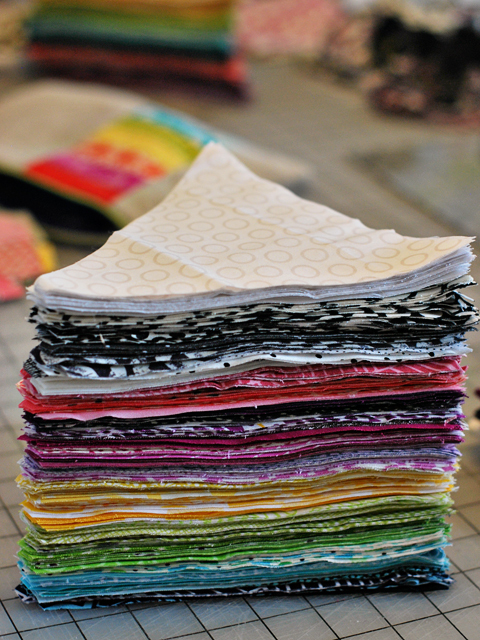 The strips and scraps cut for a new baby quilt. And I'm working on cutting more jewel shapes for my paper piecing project. If you're in the Atlanta area and want to join us on Saturday, June 23rd, at 10am, we'll be doing some shopping at Whipstitch and then heading next door for lunch when we're finished! Everyone will be getting a 10% discount in-store at Whipstitch, so it's the perfect opportunity to stop in and pick something up! We hope to see you there!! Woot woot!! I have been cutting for the past two days during Julia's naps -- so excited! After going on several other retreats, it is so nice to have everything all cut out, you won't regret it. 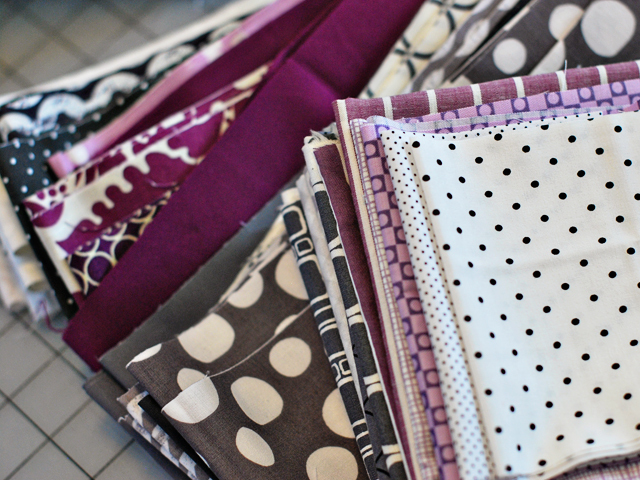 Sewing time is way more fun than cutting time. ;) So funny you posted this today b/c my post is scheduled for tomorrow about all the prep work for this weekend....yahooooooooooooooo! And I'm with Jessica -- oh, lord, the food is gonna rock! You guys are going to have the best time I can't wait to hear all about it! Oh wow, I haven't done any cutting at all! I am just trying to get all my orders and everything around the house ready for leaving. I have never left my children and my husband before!! I'm glad you mentioned being nervous -- I am too!!! Oh, your triangle pile looks great! Such pretty colors! sounds like a lot of fun. can't wait to see everything you make! It's going to be so much fun!! I love what you've got going on here! 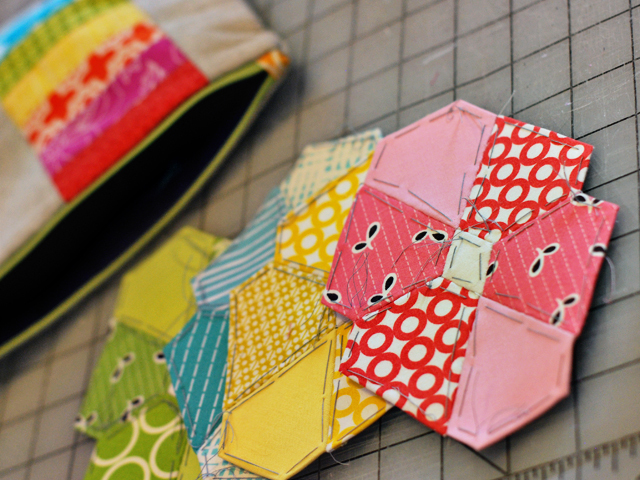 I still don't know exactly what I'll be bringing, but I did work on sorting scraps last night to bring. More work tonight and tomorrow! See you soon, dear! Oh how fun! You girls are so lucky :-) I hope you have the best time! I must be the only one who likes cutting better than sewing! Yep, my cutting's done as well. I'm only bringing one sewing project. Holly, you've got delicious options. I want to see your EPP project! Yay! I get to meet you, too! You get to go to Whipstich!! !